I was planning to update a farm of EPiServer sites running EPiServer CMS 8.4 – 8.5 to EPiServer 9.4. EPiFind was running version 9 and ImageVault was running 4.7 with the aim to become EPiFind 11 and ImageVault 4.8. Update-Package : Unable to uninstall 'EPiServer.CMS.Core 9.0.0' because 'EPiServer.CMS 8.4.0' depends on it. I was in the world of pain realizing that I had to do this in a bit more manual way than originally planned but found salvation after a while, here is how I did it. Safety first: Back everything up, snapshot the machine(s), create a new branch, pray. Open your project in Visual Studio and open the Nuget Package Manager Console. This isn’t any magic console, it’s PowerShell with a Nuget add-in. Check the references of your projects ensuring there are no references left to EPiServer, EPiServer Find or ImageVault. You may have to repeat the process if you have references in multiple projects of your solution. 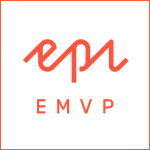 Next step is to install the packages again with a modified dependency version, as of the date this article was written it wasn’t possible to install ImageVault directly with Epi 9.4 (or newer) using Nuget. This may take a while, get some coffee and check what’s new on Imgur. You are probably stuck with a project that might compile but won’t run due to dependency errors and missing libraries, this is normal when you install something using ‘DependencyVersion Lowest’. What you need to do is to update some libraries to a specific version, when done you’ll need to add some missing packages. Finish it all up by updating all EPi libraries once again. Download and install the latest version of ImageVault (4.8 when written) from EPiWorld, http://world.episerver.com/download/Items/ImageVault/imagevault-4-8-for-episerver-cms/. 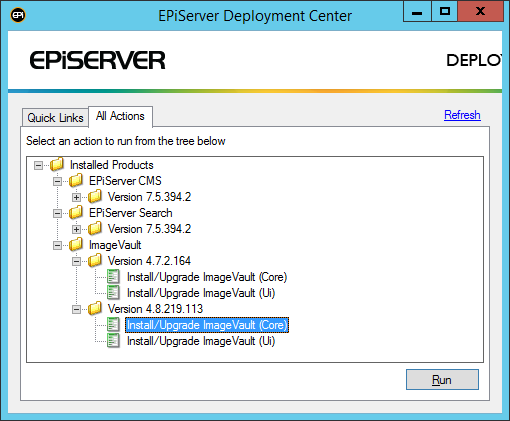 Update the ImageVault Core and Instance using the EPiServer Deployment Center. If you get a loader exception from EPiServer it is probably EPiServer Find that can’t do its voodoo. Unable to load one or more of the requested types. Retrieve the LoaderExceptions property for more information. Description: An unhandled exception occurred during the execution of the current web request. Please review the stack trace for more information about the error and where it originated in the code. Exception Details: System.Reflection.ReflectionTypeLoadException: Unable to load one or more of the requested types. Retrieve the LoaderExceptions property for more information. Feel free to contact me if you have any suggestions, questions or comments on this.